A cappella groups already do away with the instruments. Last Tuesday night, they ditched the microphones too. 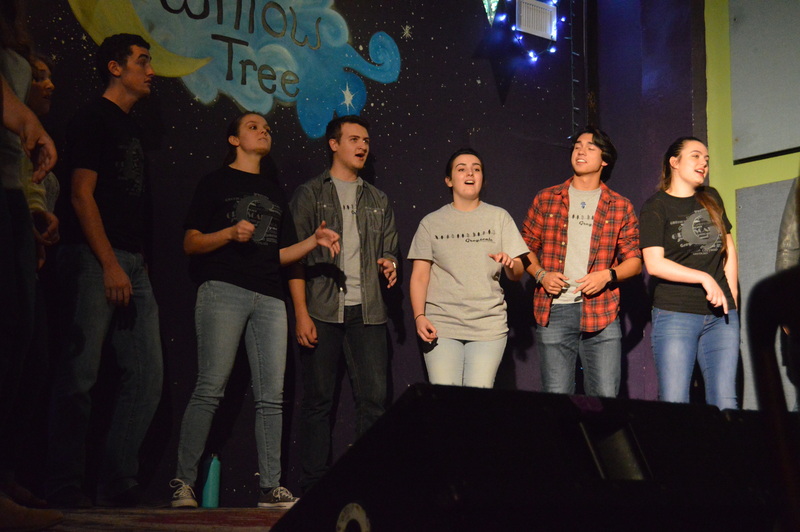 At 7 p.m., ETSU professor of music Alan Stevens took the stage at the Willow Tree to introduce ETSU’s three a cappella ensembles for A Cappella Unplugged. Under the twinkle lights of the coffee house and music room, Harmonium, Greyscale and the Swashbucklers each performed two sets without any microphones. “There’s something really real and cool to doing it live without any mics,” Stevens said. There was hardly a place to stand in the packed venue. 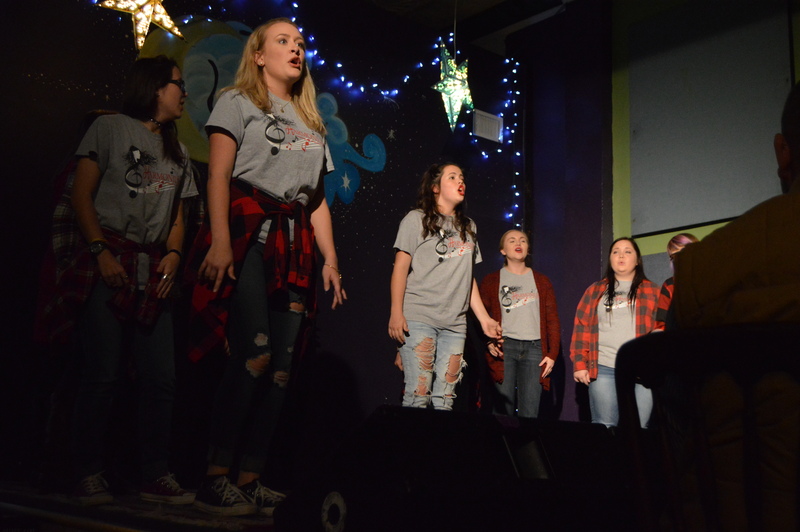 With the smell of coffee in the air, the groups performed classic hits like “Girls Just Wanna Have Fun” and “Come Together” to more recent songs like “Can’t Stop the Feeling” and “I Need Your Love.” Greyscale and Harmonium also sang original songs members of the groups composed. Greyscale is the original a cappella group on campus. Stevens directs the mixed group of 12, which formed in 2013. The other two groups are student-run. The Swashbucklers, a men’s group, started in 2015 and is conducted by Shawn Salley. Holly Wilcoxson conducts, Harmonium, the women’s group that formed last year. 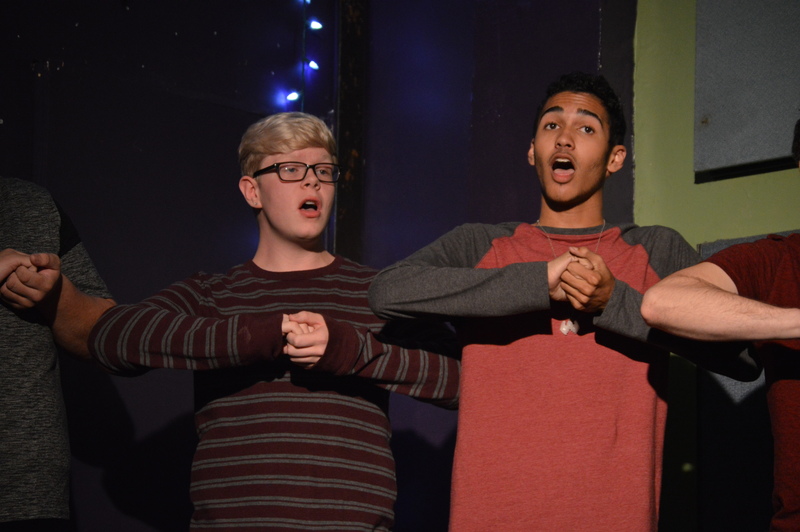 All three groups performed with energy and entertained the audience not just with their music, but with on-stage antics and clever choreography. The packed crowd, ranging from kids to seniors, cheered after each number. For more information on the groups, check out their Facebook pages where they post about upcoming performances and share videos. Greyscale will perform their fall concert, Luminosity, on Nov. 18 in the D.P. Culp University Center Auditorium at 7:30 p.m.